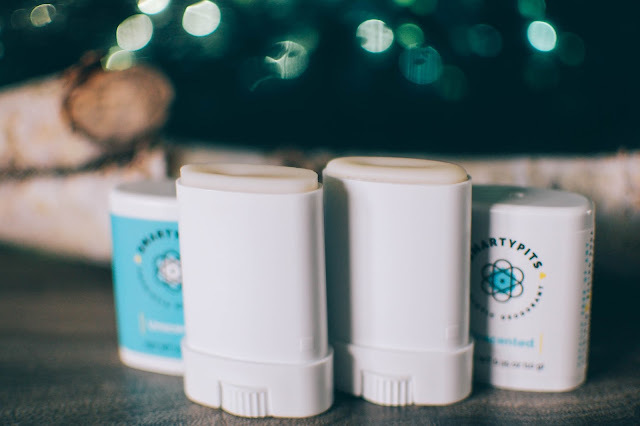 This post will look slightly familiar since I did test out a mini travel size of the Handcrafted HoneyBee SmartyPits probiotic deodorant a month or so back. I have since obtained a full size of the lavender baking soda free and stashed the mini away as a travel size to keep on hand. But here is the best news. I did sign-up for their newsletter and was sent a code to use to get two more free travel sizes for only the cost of shipping (which was $3 and change). I wanted to really put the deodorant to the test and chose unscented. Yeah, that's right. I live on the knife's edge. The travels will come in the one scent you choose, but one will be the original formula and one will be baking soda free. To test these, I wore the original formula in the left armpit and the baking soda free one in the right. After a few weeks of testing in both regular activity and works outs, pouring rain and water parks, scorching heat and sun bathing (with SPF guys... please don't lecture), I can safely say that they both work amazingly well. I do feel the original formula gives just a tad bit more oomph in the odor coverage but the baking soda free one still did pretty darn good. They came out with a new Rosemary Mint one I am dying to try out. Whatcha waiting for?! Get yer hiney over there and get your free minis! Don't forget, moving over to using all natural deodorants is a process... it will take some time for your body to adjust. But the peace of mind is worth it for me. I hope it will be for you too. Thanks for the review! I signed up for the sample and received a tracking number already; impressive! Can't wait to try them. PS: I received it today! I don't think I've ever received anything so fast. It turns out her business is only a few hours away from me. 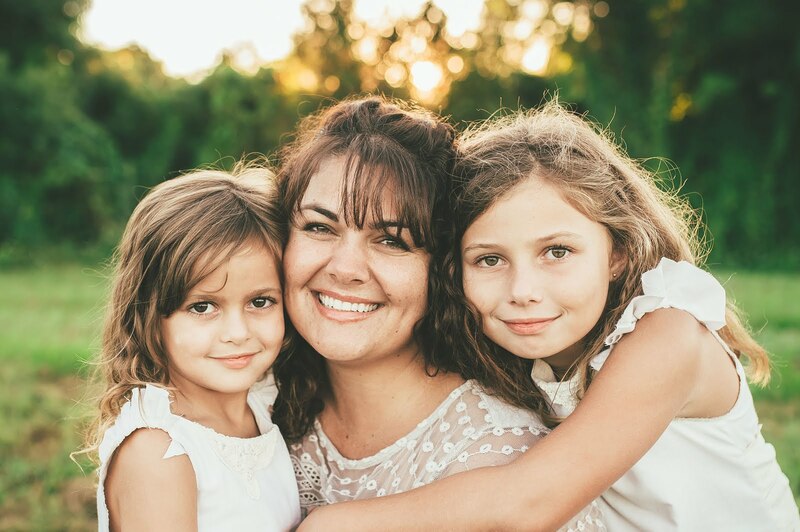 Thanks for sharing this Julie! I love trying new natural deodorants! Any time! I was trying a bunch too but I am really liking my results with this brand. I did buy some from The Dirty Goat recently too but between these and those I will be set for a while. Hope they work for you! I don't know why I never thought of trying both formulas at the same time. What a great idea! I was having a hard time figuring out which one I like the best. I was too at first Sarah... 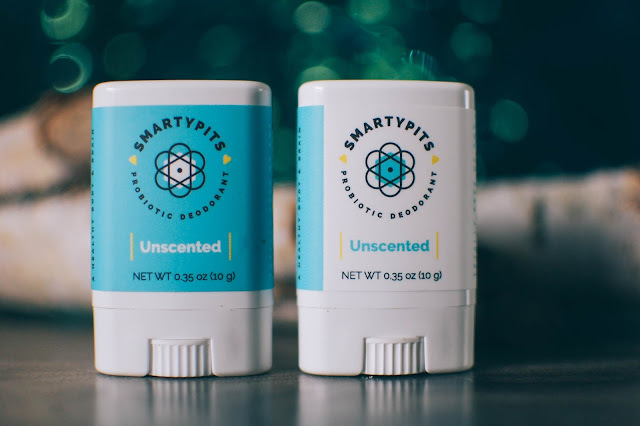 I kept getting pretty much the same results of them both being just plain good deodorants so I figured I needed to go more in-depth and actually smell one pit and then the next right away to see if I could tell. Ultimately the original worked just a hair better for odor coverage for me. Sometimes my blogging job is not always sunshine and rainbows. At least I did not have to do the pit sniffing in public. LOL!